Getting your freelance writing career off the ground takes work. In the beginning, it’s easy to get discouraged by how saturated with writers the market seems to be and how difficult it is to get paid work — especially when you don’t have much experience. But don’t worry, I’ve put together some advice from a variety of successful freelance writers to help you out when you’re trying to launch your career as a marketing freelancer. Listen to their words of wisdom and apply them to your own writing, marketing and business strategies for positive results. The most prevalent piece of advice that people give writers is simply to write. You should hone your craft regularly so that when work comes, you’ve got the skills and the discipline to create a great piece. Shannon Doyle, who has been a freelance blogger for the last six years, recommends sticking to what you’re passionate about in the beginning while you’re still building your portfolio. So if you’re an expert on Snapchat, for example, make sure you diversify into all social media channels so you aren’t left with nothing if Snapchat goes the way of MySpace. Having a space online where you can showcase your skills and build trust with potential clients is vital in the world of freelance writing. 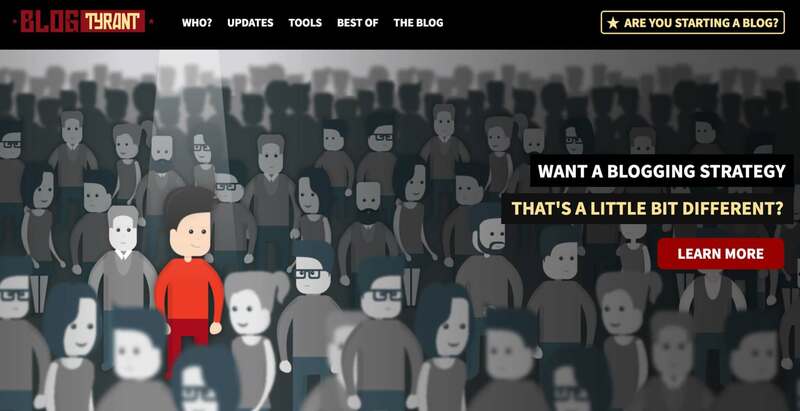 Ramsay Tapling, founder of popular marketing and blogging website Blog Tyrant, recommends that every freelancer create their own website using a clean and simple template. “Have a few examples of how you write, your personal thoughts on the process, and a few nice photos. This helps separate you from the thousands of faceless individuals that employers will encounter when hiring writers. It’s a very small outlay that can make a big difference,” says Ramsay. Additionally, you’ll want to spend some time on your website’s SEO to ensure that the work you’re creating is search-engine- and reader-friendly. This step can help your site get more organic traffic, and the more organic search traffic you can generate through your website, the more clients and content requests you’re likely to get. Free Bonus Download: Get your free resource to learn how to make use of your old content by updating, consolidating and repurposing it. Click here to download it for free right now! 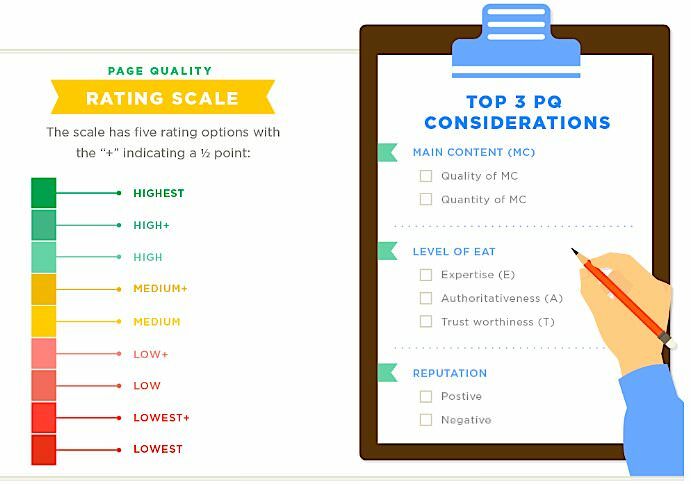 Write content that will rank well in search engines. 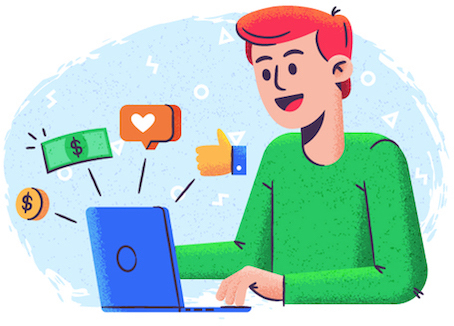 This means doing your research to see what terms and keywords get searched often and using relevant keywords in the title and body of your posts, where possible. Just don’t overstuff your posts with keywords, as this black hat practice can have a negative impact on your site’s ranking. Check out The Content Marketer’s Guide to Keyword Research for more information. 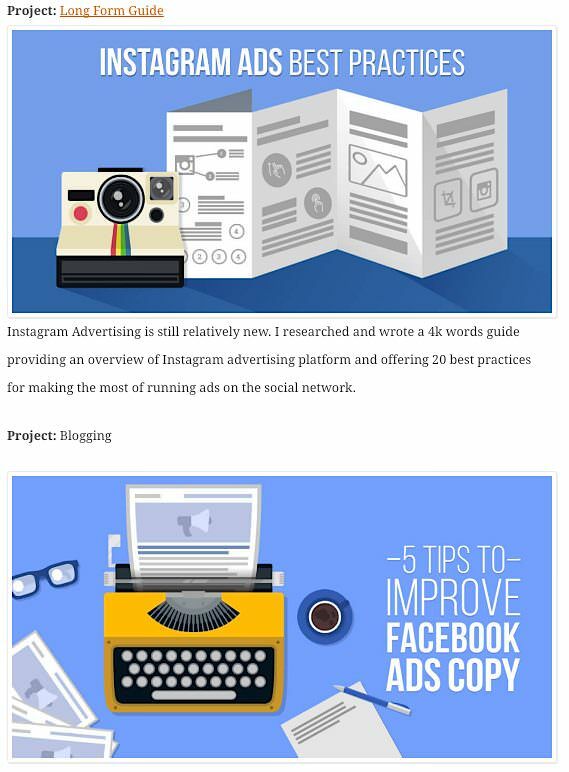 Optimize your posts. Put the most relevant keywords in your title tag for every page on your site to maximize keyword opportunities. These optimizations should be as short as possible — usually 50 to 60 characters. Also create meta descriptions to give readers an idea of the content they’ll find on those pages, and keep this content to about 150 characters. Following these simple guidelines makes your site more consumable for readers, and search engines use these optimizations to determine where your site should rank on the search engine results pages (SERPs). Link to reputable sources in your posts. High-quality outbound links are a must. By including these kinds of links, you allow search engine spiders (Internet bots that browse the web to index and rank data) to crawl your page and determine if the content is valuable to and trustworthy for readers. 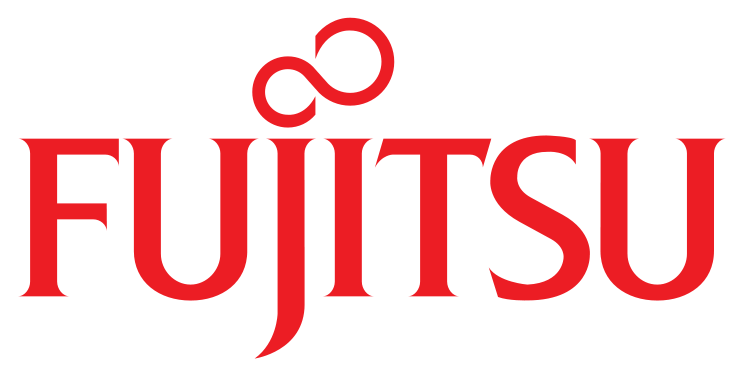 Ultimately, links will improve your credibility and help your site rank higher. Include images. Every image you use on your site should have a keyword-relevant title, caption, ALT text, and file name. These details also optimize images and can help your site rank higher on a SERP. Pitching blog topics and post ideas to potential clients is a crucial part of establishing yourself as a freelance writer — if you don’t nail the pitch, you won’t get the work. According to Nicholas Holmes, founder of Clippings.me, you should only pitch articles that fall within your expertise. “Don’t make things harder for yourself by attempting to tackle a new topic as a new writer,” he advises. And always research the site or publication you’re pitching to before you send that e-mail. You don’t want to pitch content about gardening to a digital marketing agency. Make the most of summaries. Your pitch summary is a crucial opportunity to display your writing skills, so don’t waste it. Crafting the perfect summary allows editors to get a feel for your proposed idea and your ability to execute it, without your having to write the whole article before it gets approved. Try to keep the summary short, sweet and on point. Wow editors with your title. Titles have never been more important than they are in 2017. Editors and consumers are exposed to so much content every day that it takes an outstanding title to capture their attention. At the same time, you don’t want to get caught in the trap of thinking that cleverness trumps clarity! You might be really proud of a creative play on words, but if the title is confusing then you’ve already lost. Consider running your headlines by some friends or colleagues who can give candid feedback. 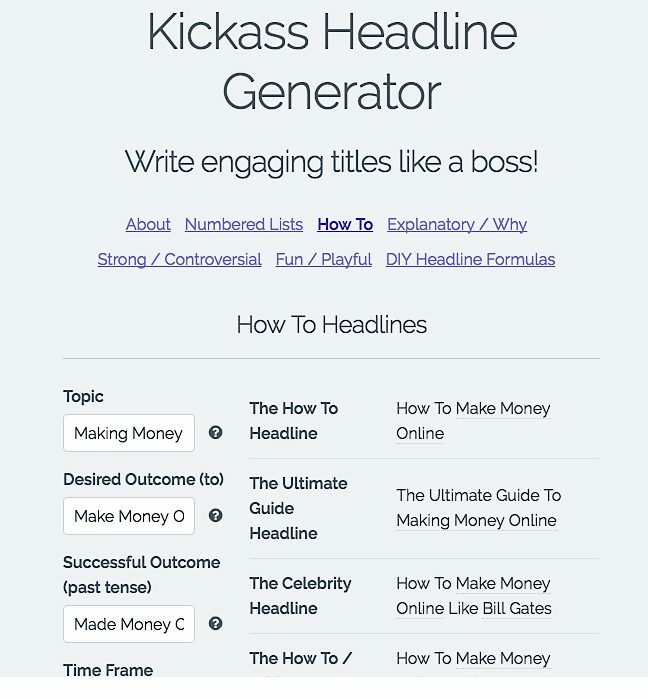 Use a headline generator like Title Generator, Portent, or Sumo’s Kickass Headline Generator. Approach your topic from a unique angle. The more unique and creative your angle is, the more interested an editor will be in your piece. To stand out from the crowd, you need to approach topics from angles that haven’t been done before. Spend some time brainstorming yours before writing your pitch. One of the biggest issues you might face as a marketing freelancer is not consistently having work because you’ve raised your fees. If you understand what other writers in your space are charging, it makes it easier to raise those rates or stand by a recent increase. Bookmark the Freelancer’s Union for helpful articles, useful resources and networking opportunities. Reach out to other freelance writers to comment on their work and then ask if you can pick their brain about their success so you can learn from them. If you find yourself in a lull with no work, make good use of your available time to improve your craft and build your portfolio. How much you can expect to earn in the first year will depend on the jobs you land and your experience. Generally, you should expect to make less money until you get established as a reputable writer, so it’s a good idea to start freelancing as a side gig to supplement your existing income. You should get used to struggling during your first year or more to achieve the income you expect. Rachel Ballard, who has been freelance writing for eleven years, says her earnings can vary dramatically year-by-year. Always keep up with the industry or industries about which you write, as well as the freelance writing space itself. Knowing general trends in the market can help you know where to look for work, how high to set your rates and what to write about. It can also help you network, something that Deuty recommends. “Responding to blogs, retweeting relevant tweets, and reposting Facebook posts can help you,” he says. The more actively engaged you are with others in your industry, the more likely you are to find work, as you’ll learn from their experiences and posts. If you have existing clients that you want to keep up with, set up a Google Alert for their company name so you can stay abreast of rising trends and quickly send out a new pitch on a topical subject. Freelance writing requires motivation, and nobody can supply that but you. Caroline Smith, blogger and communications specialist for Frontier Business, recommends switching up your location every now and then to ensure that your creativity doesn’t stagnate. If you prefer to work at home where it’s quieter than a busy coffee shop, create a separate space in which to write. This will help you get in the zone faster than if you just lie in bed with your laptop trying to be productive. Establishing yourself as a reputable marketing freelance writer requires persistence and determination — so don’t get discouraged if you don’t feel like things are taking off right away. Consistent effort and learning will get you where you want to go in time, so be patient, keep working hard, and stay focused! Alec Sears graduated from Brigham Young University in public relations and business management. He is a small-business expert who loves to blog about the latest trends in PR, marketing and SEO. He now lives in the Silicon Slopes of Utah, where he loves trail-running with his dog and snowboarding with his wife.